Augmented reality (AR) arrived on our handhelds with a soft thud when smartphones were still new. 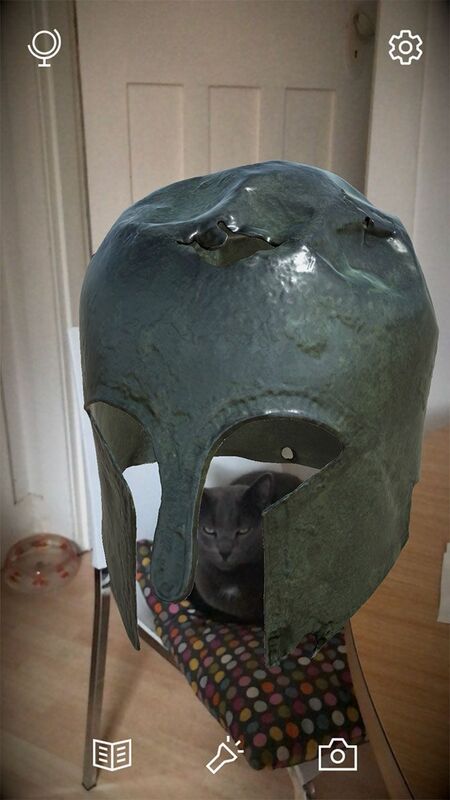 Early AR implementations were interesting yet notoriously buggy. This led to many writing the technology off as a gimmick, rather than a serious tool for work and play. Fast-forward to June 2017 when Apple announced ARKit at WWDC. The toolkit makes it easier than ever for developers to implement AR into their apps, and Apple’s work behind the scenes has helped stabilize tracking and vastly improve performance. AR is no longer a gimmick, but a powerful tool that looks and feels real. Here are our favorite examples currently available on the App Store. 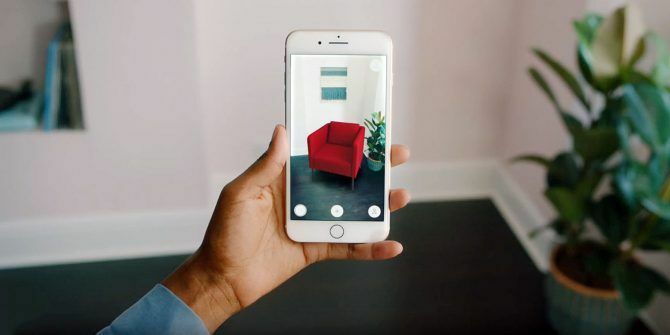 ARKit is Apple’s augmented reality API Apple Gets Behind Augmented Reality With ARKit Apple Gets Behind Augmented Reality With ARKit How will Apple's commitment to augmented reality affect the apps of the future? Read More for developers. An API, or application programming interface, is like a toolkit that enables and simplifies the process of building software around a particular technology. Apple has put in a lot of work behind the scenes to make the latest generation of AR projects far more stable than earlier implementations. In particular, ARKit has vastly improved the tracking of objects in a 3D space. Where objects would frequently glitch and move around in the past, they now adhere to the 3D plain on which they appear (most of the time). It’s not perfect, but it’s a huge leap forward and Apple continues to update ARKit on a regular basis. iOS users are particularly lucky, since Apple’s wide-reaching implementation of ARKit involves several generations of devices. They’re unified by the latest version of iOS. Google has added a similar API called ARCore to Android, but not many devices support it yet. That means many AR developers are targeting iOS first. If you have an iPhone or iPad capable of using ARKit, why not try it out? You can currently use ARKit apps on any iOS device featuring an A9 processor or above. That means you need an iPhone 6s/6s Plus, iPhone SE, or newer. The more recent your device, the better performance you can expect. 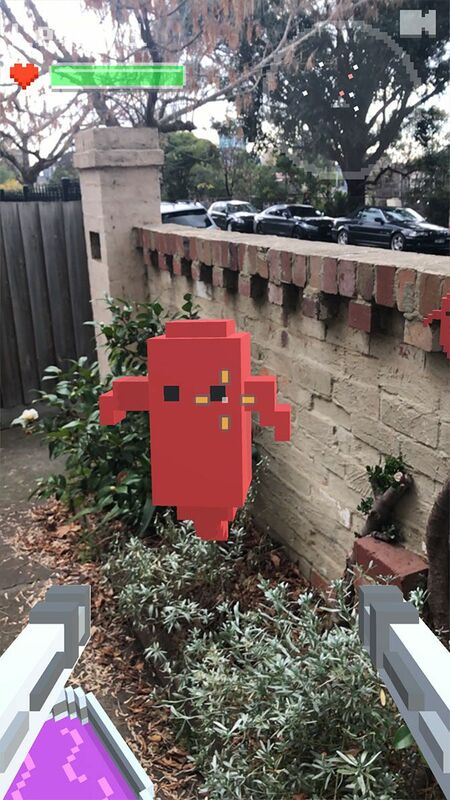 The best current ARKit experience comes via the iPhone X and its TrueDepth camera. Apple’s flagship is capable of detecting facial positions, topology, and expressions. 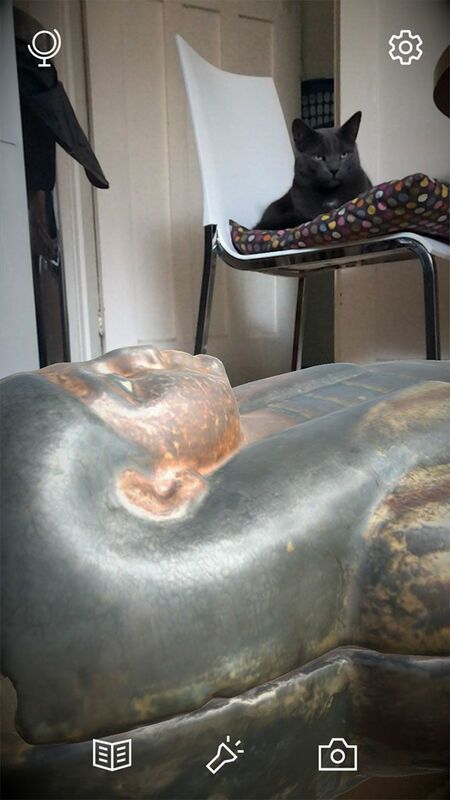 Apple’s Animoji demonstrates how much fun the TrueDepth camera can be, though not all apps are optimized for iPhone X. Some devices using A8 and earlier processors can still use AR features, but they can’t take advantage of the ARKit API. This means many of the apps on this list are simply not available, since they were built on the ARKit API. There are now enough games and apps using ARKit that you don’t need to spend a penny in order to experience the technology for yourself. 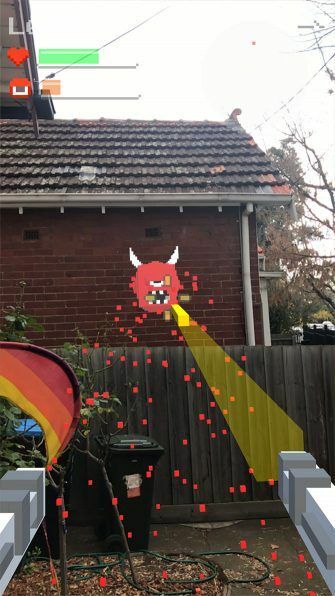 While many of the App Store’s top AR experiences are premium downloads, we’ve stuck to free and ad-supported apps here to whet your virtual whistle. Niantic’s hugely successful real-world Pokémon experience saw a flurry of Pokémon fever around the world when it first landed in July 2016. At the time the app featured an AR mode that placed Pokémon in your surroundings, but it wasn’t really worth the additional battery drain. But now that Pokémon GO includes ARKit support (AR+ mode, as Niantic calls it), it might be worth giving the feature another crack. Updated in December 2017, Pokémon GO now features much smoother and better-integrated AR gameplay. If you don’t like it, you can always turn it off again and save battery. Pokémon are no longer simple 2D overlays, but 3D models you can move around or approach. You can even earn the “Expert Handler” badge if you carefully sneak up on a Pokémon and capture it. The game provides all this plus new Pokémon, global events, and the same addictive grinding that made so many fall in love in the first place. If you’re a newcomer, make sure to follow our Pokémon GO beginner tips 10 Pokemon Go Tips that Every Beginner Needs To Know 10 Pokemon Go Tips that Every Beginner Needs To Know Pokemon Go can be a little daunting if you're just getting started, so we've made a list of 10 things you need to know to be the very best! Read More . From Halfbrick Studios, the developer of hits like Fruit Ninja and Jetpack Joyride, comes a new kind of AR experience. Describing itself as a paranormal puzzle adventure, Shadows Remain has you investigating the mysterious events of a mother trying to rescue her son from evil forces. This is a demo for the full game, hence its free price tag and lack of advertising. It should take around 30 minutes to complete. During this time you’ll move freely around the environment, using the gift of AR to solve puzzles and reveal optical illusions. It’s a unique way to experience a puzzle game, story-driven adventure, and taste of psychological horror. Since the game is still in development, you can tip the developers in-app or head to the project homepage to learn more. 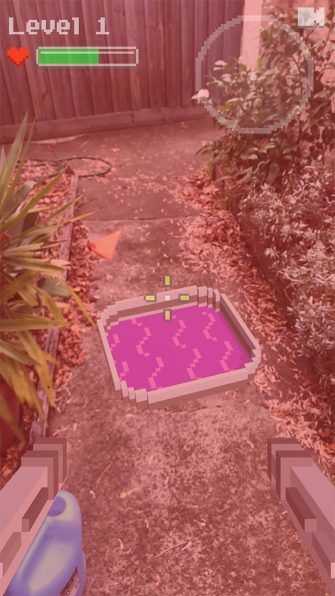 When AR games first launched, many took the form of simple shooters like Ghosts ‘n Guns AR. Enemies spawn in your local environment, and you must use your iPhone to shoot them. Your score depends on your performance, with boss battles really testinh your abilities. While most old AR shooters felt like floaty tech demos, Ghosts ‘n Guns AR feels more mature. It’s a great place to start if you haven’t played an AR shooter before, as the one-touch controls make it easy. The game is supported by ads, which you can remove with an optional premium upgrade. 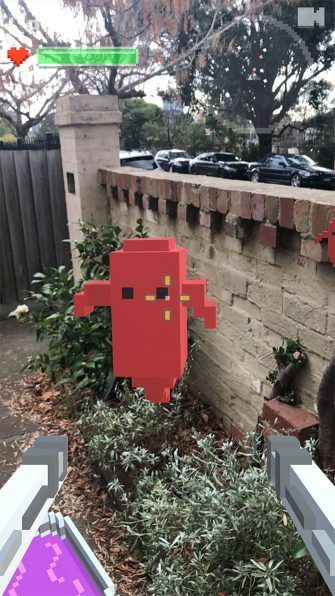 AR Runner could be a game or a fitness app, depending on how you look at it. The aim is simple: use AR to run through the checkpoints on your device, competing against players around the world and improving on your best times. It’s one example of keeping fit while playing a mobile game, but be careful you don’t drop your iPhone (or hurt yourself) while playing. The combination of running as fast as you can while holding your iPhone in front of you might look a bit weird to passers-by, but who cares what anyone else thinks? With four game modes, four field sizes, six field shapes, and 60 challenges, there’s plenty here to sink your teeth into. A $2 in-app purchase will remove the ads. Ever wanted to try a piece of furniture in your room before you buy it? Now you can with IKEA Place. The app features hundreds of Swedish furniture and decorations which you can place in your immediate vicinity to see how they look. 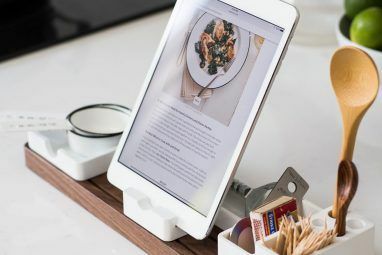 IKEA promises an “accurate” impression of your chosen item’s size, design, and functionality. It’s probably worth taking the visualization with a grain of salt, but it’s a nice tool for building a virtual room which you can then convert into a digital shopping list Use Siri and Apple Reminders for the Best Shopping Lists Use Siri and Apple Reminders for the Best Shopping Lists Don't waste your money on a third-party app, just use Apple free iPhone and Mac apps. Read More . The app continually adds more products, and whether or not you end up buying the item from IKEA, it’s nice to try on furniture for size. Now if only IKEA would work on an AR app to simplify the flat pack building process! Created by the International Committee of the Red Cross, Enter the Room is a poignant look at the brutal reality of war and its impact on civilians. It’s not really a game as such, but more of an interactive experience that brings the story to life right in front of you. The app makes a compelling case for AR’s role in bringing stories closer to home. This is particularly relevant given the subject matter of armed conflict, which many of us only ever experience through articles and TV reports. As a whole product, this is the single best example of AR I’ve seen. It’s technologically sound, cleverly constructed, and uses AR tastefully to deliver an important message. Walk around and experience an ancient Egyptian mummy, famous works of art from Bellini and Turner, Roman helmets, and the Rosetta Stone, among others. The artifacts are highly detailed, and you can move them around, make them larger, and see their real-world size with the tap of a button. 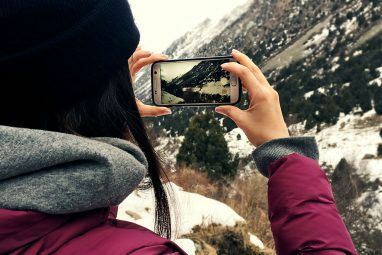 Not only is the subject matter fascinating, it’s a great example of how AR can transport us to places and allow us to experience them in a similar manner to if we were really there in the same room. It really makes history come alive These 15 Fascinating History Sites Make the Past Come Alive These 15 Fascinating History Sites Make the Past Come Alive History isn't just the subject we left behind in school. These 15 interactive (but educational) websites and tools prove that the re-telling of historical events can be entertaining and fun. Read More . ARKit is surprisingly accurate, but does it work as a virtual tape measure? That’s exactly what TapMeasure tries to do. The app is a virtual tape measure, 3D room builder, and spirit level all in one. I tested the tape measure by measuring a 15cm ruler (just under 6 inches), and the app correctly estimated the length. Though the tracking was a little off, the app seems to perform fairly well in this capacity. The room builder was pretty good too, though it works better in empty rooms since guessing where your corners and floors intersect is tricky with furniture in the way. Unfortunately I didn’t have much luck with the level, but two out of three isn’t bad. It’s a promising start, and hopefully as AR improves so will the accuracy of apps like this. 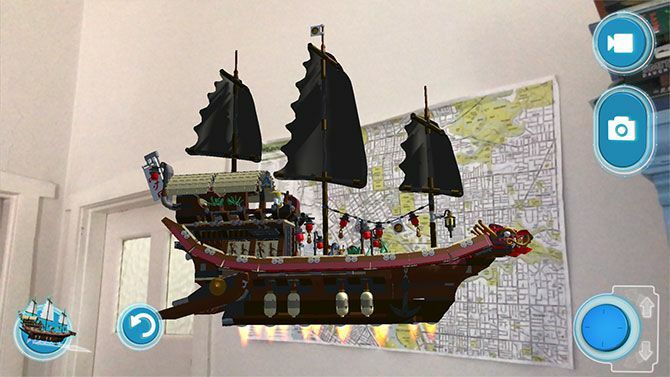 One for the kids and kids at heart, LEGO AR Studio lets you play with some of the best LEGO sets in augmented reality. There’s a limited selection, but the implementation is surprisingly good. It lets you control virtual pirate ships, mechs, and a train set. 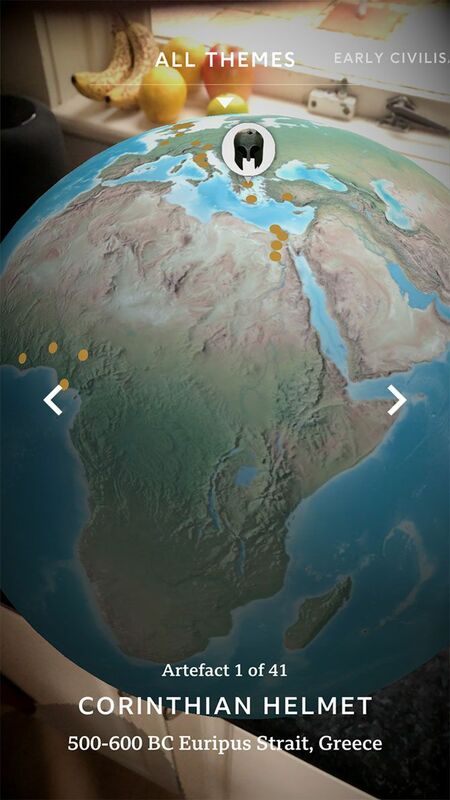 You can explore models by getting up close and personal with your device. 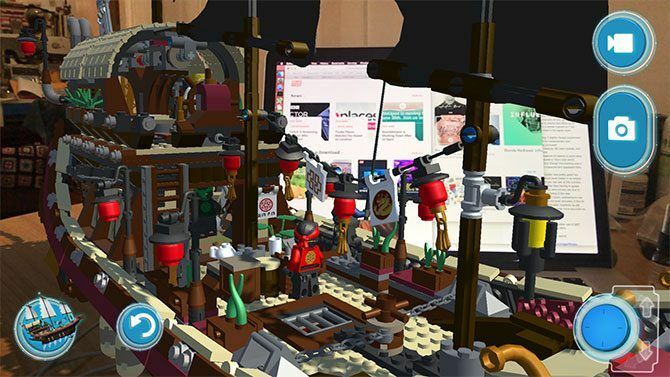 LEGO AR Studio is probably best when fused with a few real-world LEGO kits 10 LEGO Star Wars Toys Actually Worth Buying Right Now 10 LEGO Star Wars Toys Actually Worth Buying Right Now Both LEGO and Star Wars are brands beloved the world over. Why not combine the two with these, the best LEGO Star Wars toys? Read More . This allows you to add a train set to your town, or pilot a flying pirate ship around your living room. It’s a blast for the kids, but be warned: it’s an interactive brochure of the next few LEGO kits they’ll ask you for. LEGO could expand on the AR concept with interactive build guides, just like IKEA. ARKit is proof that a seemingly passing fad can always benefit from the support and standardization that a company like Apple can provide. And if this AR talk sounds familiar, remember that augmented reality and virtual reality are different Augmented vs. Virtual Reality: What's the Difference? Augmented vs. Virtual Reality: What's the Difference? Augmented reality. Virtual reality. Mixed reality. What are all these "realities" and how are they going to impact you over the next few years? Here's everything you need to know. Read More ! Explore more about: Augmented Reality, iOS 11, iOS Apps.